It's a bird! It's a plane! It's Superman! 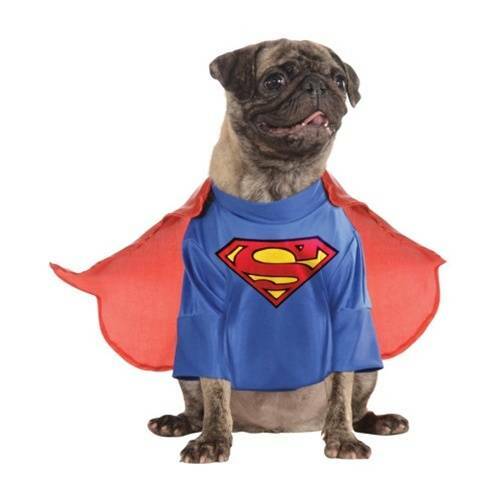 Your pet can save the day in the officially licensed Superman Pet Costume by Rubie's! Faster than a speeding bullet. More powerful than a locomotive. Able to leap tall buildings in a single bound...It's Superman! Your pet can save the day in the officially licensed Superman Pet Costume by Rubie's! Lightweight and comfortable, this shirt features Superman's classic red and gold logo, ribbed trim, and Velcro closures on the back for an easy and secure fit. This shirt also features a detachable red cape via Velcro attachments. Need a larger size? Check out the Big Dogs Superman Pet Costume!